The joy of finding a dupe of some famous product is unparalleled. Isn’t it? Most of the times they are cheaper than the original, better-performing, easily available or are made by brands more available to us in our area. Recently, while roaming on the streets of Esplanade, Kolkata, my eyes suddenly got stuck on a road side makeup store. These street side makeup stores in my city are famous for selling “high-end fake products” and I generally avoid them, but this particular store of which I am talking about, other than fake MAC, Huda, UD and Kylie, has many other fun stuff at super affordable price tags, like amazing brushes, sponges, silicon blenders, nail art tools, etc. And whenever I head to New Market, I just can’t help but peep once. And that’s when I saw these beauties stacked at one corner. 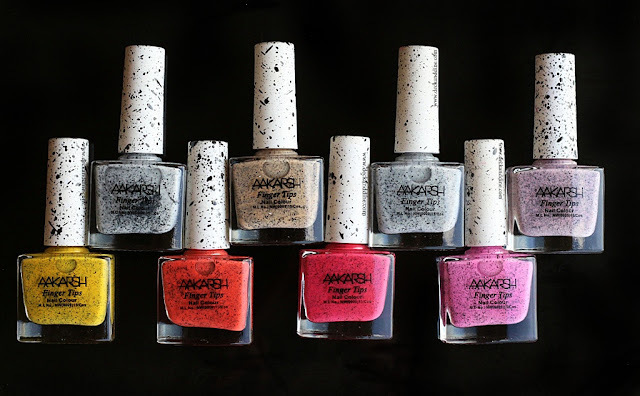 These looked exactly like the NYKAA Cookie Crumble range of nail polishes and I was totally awestruck. Now, I have already used one polish from the cookie crumble range, but due to the price tag couldn’t try other shades, though I wanted to. Actually, I love dolling up my nails in different hues almost every alternate day (sometimes even daily), so spending 200 rupees for a nail paint is something I don't connect with. I prefer cheaper, better options any day. These cookie-crumble dupes are available at only Rs. 35, and I found them so appealing that I dint think twice and picked up eight from the range. Absolutely similar to Nykaa ones, totally enticing. 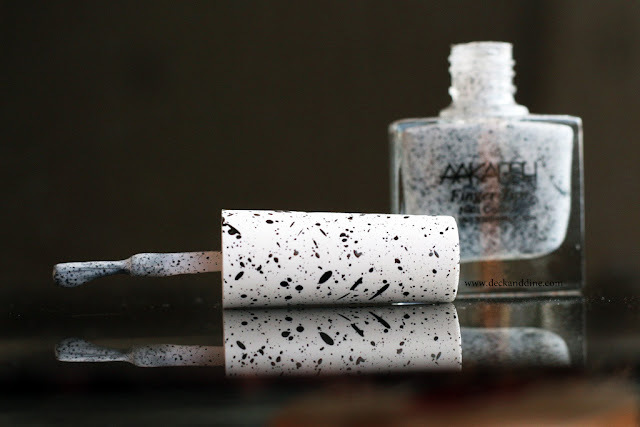 Square-shaped transparent glass bottle with long white cap which has black ink splattered all over it, just to complement the “cookie” texture inside the bottle. Rs. 30-40. I got mine for 35 from New Market. The street side shops around City Mart, New Market. The street side shop in front of pantaloons factory outlet in New market, And the shops in and around Hati Bagan. They are also available with Instagram seller, Jyotijiastore. There are almost 20 shades in the range, starting from white, cream, light mauve, light blueberry, light pink to mint green, mustard yellow, coral, hot pink and red, absolutely brilliant colors. All of them have those tiny black confetti that take the polish to a completely different level and give a fun cookie milkshake nail art look. These nail polishes just make me crave for oreo-cookie shakes like crazy. The nail polish has a medium consistency, neither too thick-creamy nor too runny, just perfect and goes on smooth without creating streaks or lumps. They become opaque in a single coat, but a second coat makes it look better. The nail polish stays amazingly perfect on me, without any chipping or fading for a week straight after which it starts chipping slightly from the corners. I have used the Nykaa Cookie crumble nail paints as well. Lets go through the comparison chart and see who wins. Runnier than the Nykaa one, nevertheless very smooth. Takes around 3 minutes to get dry completely. Layering becomes time consuming. Dries super fast, in seconds. Layering becomes easy. Needs 2-3 layers to get a decent opacity. Most of them go opaque in single coat; the second coat makes it better. Started chipping on me from the fourth day. Started chipping almost after a week. 199 each. Not exactly affordable. 35-40 each. Dirt cheap. Buy as many as you want. Currently available at almost all local beauty shops, the footpath beauty shops in and around New Market, Hatibagan, Gariahat and with Instagram seller, JyotiJiyaStore. It is not very often that I come across products which fill me up with sheer joy and happiness. This is one such product. A great find. The cookie crumble effect is awesome. It is dirt cheap, so I can buy as many shades as I want without burning a hole in my pocket. 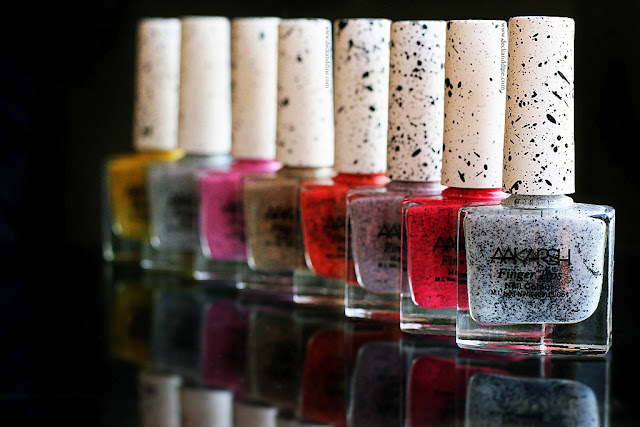 I love the Nykaa ones, but as I said, I don’t really feel like spending 200 bucks on a nail polish every time. So this comes to the rescue. Absolute Love! A few factors sometimes make these dearer than the Nykaa ones. Also, Aakarsh makes amazing matte nail paints. Do check them out as well. Total steal! This is a really fun collection of polishes! Which store in New Market is this? The shop beside Pantaloons factory outlet.. This is a fun finish! I really like that bright pink. What cute polishes. I love the crumbles. Your chart is perfect for a comparison. Blimey! 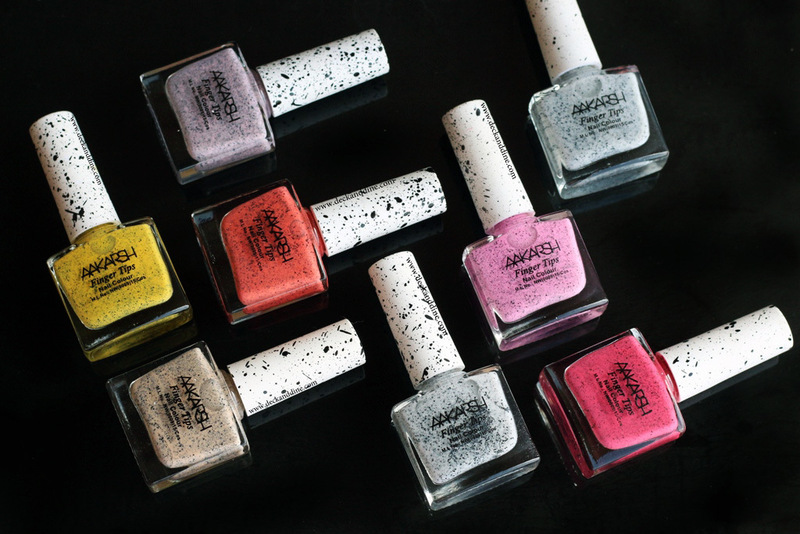 Those look amazing; they're fabulous indie polishes! You should tell them to sell on Etsy, they would sell out in a week, tops. I really love this finish - I used to have all the Illamasqua ones back in the day. I’m loving these! So many colors available! These are super fun! I love how the bottles look too!